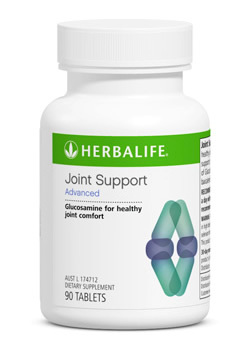 Joint Support Advanced helps maintain healthy joint function and comfort and supports healthy ageing with a unique formula of Glucosamine Hydrochloride, Scutellaria baicalensis root extract and minerals. Supplementing with Glucosamine may help repair and rebuild worn or damaged cartilage. Helps maintain healthy joint function. Contains Selenium and Manganese, both of which are essential minerals. Clinically proven to support healthy joint function and comfort and supports healthy ageing. Unlike pharmaceutical medicines that simply manage the symptoms, glucosamine helps delay the progression of osteoarthritis. A traditional Chinese Medicine (TCM) herb, added for its antioxidant and healthy-ageing benefits. Essential mineral vital for normal function of the immune system and thyroid gland. A mineral that is good for bone and cartilage health and acts as a co-factor in several metabolic and enzymatic reactions. The third most abundant trace mineral in the body, but it is often deficient in a person's diet because food sources high in this mineral are not always eaten frequently (such as oysters and liver). Copper works together with iron to make red blood cells and it is the major component of the outer coating of nerve fibres and collagen. Copper is used by the body to manufacture numerous enzymes, many of which work as antioxidants.